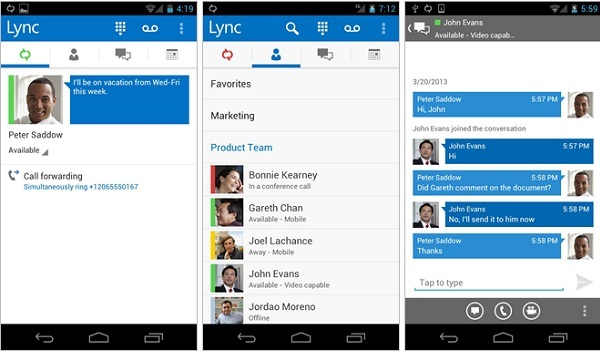 Lync is an innovative solution that links people to communicate anywhere in a secure and reliable environment. Lync reduces the time and cost associated with business travel and enables a more efficient way of working. It’s easy to operate and requires very little training for users. The LuxCloud infrastructure means that Lync can be accessed from anywhere when there is an Internet connection, including PC, smartphone and tablet. Microsoft Lync is the answer to your customers’ collaboration requirements; it connects users in new ways, regardless of their physical location. Decrease your sales cycle by up to 20%. Create automatic notifications for messages of interest. Save messages that contain important information. Select how much presence information you want displayed. Manage instant messaging, voice/video chat, meetings and shared whiteboard sessions from your PC. Communicate with your team members via instant messaging through a secure chat. The Microsoft Lync Product Sheet provides information about product benefits, Microsoft Lync features and target market information. *The white label Product Sheet as well as additional product info is exclusively available for our Sales Partners on our Partner Portal, within the commercial Sales Acceleration Toolkit.